Ever since their breakout debut Dreamlands (2012), Sauna Youth has earned itself a position as a key part of East London’s garage punk scene. The members of the band are involved in multiple rock groups and art projects individually but one thing that truly unites them is their undying love for fast, fiery guitars and a distaste with modern life and the “technology age”. On their long-awaited second full-length LP Distractions, the band returns more refined and focused than before. 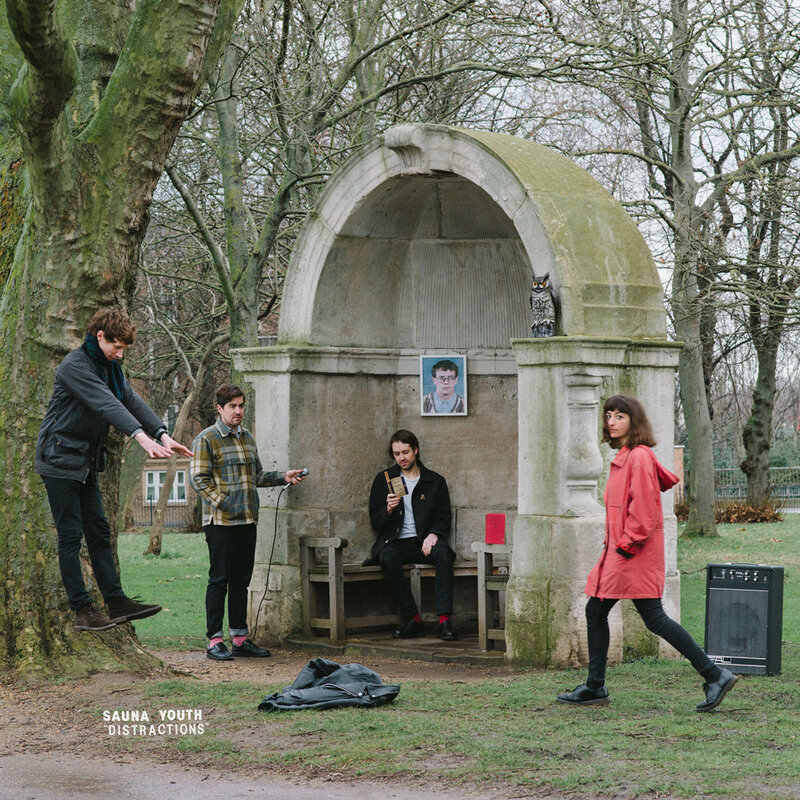 There could be no greater introduction to the music of Sauna Youth than the album opener Transmissions. Angry, primitive and catchy-as-hell all at once, the track sets the tone for the rest of the record. The album is a true embodiment of the rebellious spirit of DIY punk music, featuring frantic, grizzly chord progressions, infectious gang-vocals, tight, pummeling drums and rough production to create an atmosphere of controlled madness. Sticky melodies are an overflowing abundance and the lyrics cleverly convey the band’s disaffection with society. When the band starts chanting “Abstract Notions have no place in pure thought” on Abstract Notions, it urges you to shout along; Monotony takes a shot at mundanity with its deliberately repetitive chord progression; Modern Living, meanwhile, feels especially vibrant with its addictive raw, bassy sound. Distractions, in all, is a consistent project throughout, never for a minute losing its passion or intensity. Fans of punk and post-punk shall have this on repeat.